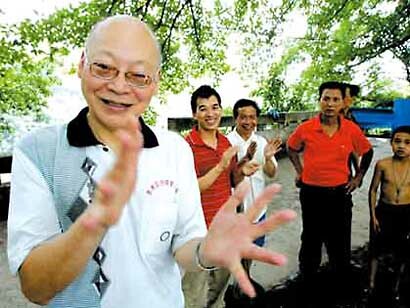 Zhang Quan, 70, a Chinese man wants to get into the Guinness Book of World Records by clapping his hands. His claps are as loud as the sounds of helicopter blades. According to the news reports from Chongqing Business News, his claps measured 107 decibels – only slightly lower than helicopter blades which measure 110 decibels. Workers from the environmental protection bureau said that technically Zhang could face arrest for noise pollution if he clapped too often.